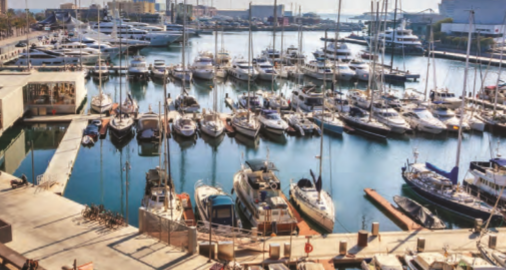 Marseille, one of the largest cities of France,is located in the Provence region of the country and is a destination that deserves a visit by travellers with a keen sense of exploration and adventure. Despite the negative attention the city has received for high crime rates, it makes for a great choice for those seeking a historically rich and culturally diverse city with fantastic architecture. Watched over by the basilica Notre-Damede- la-Garde, Marseille is a dynamic and lively city that has a long history. Today, with a sizable Jewish and Muslim community apart from the Christians as well as a small Buddhist community apart from others, due to its large migrant population, this city is quite multicultural. The first view that one gets to see, if lucky enough to arrive by train- which is at an elevated platform, is the city from top. I was greeted by the cityscape that lay ahead, and the endless staircase (one of the many in the city). At walking distance from the station is the tourist office, located in the city centre. This is an informative and helpful place to acquire a map of the city where trails are highlighted for lovers of old architecture, as well as modern new-age buildings and art. The long wide road of La Caebiere is filled with big brands and fast food chains as well as important government buildings. It leads to the Vieux port or the Old Port, at one time the commercial port of the city, now a buzzing space filled with yachts and boats by the water and promenade scores of restaurants and shops to accommodate the numerous tourists that pass by along the. Somewhere in between all this noise are small shops such as La Maison du Pastis, an interesting boutique to learn about, taste and purchase absinthe and pastis. Pastis is an anise flavoured herbal liquor drink that is of French origin and extremely popular with the locals of Marseille along with the experimental and adventurous tourists. The popularity that this drink has achieved goes back to the initial days after it had been manufactured. The credit for this has been given to an entrepreneur from Marseille, Paul Ricard, who marketed and shaped the future of the drink. The old town of Marseille is filled with buildings of historical significance- whether it is the Fort Saint Jean or the Museum of European and Mediterranean Civilisations, in a very scenic location. Muceum, a beautifully designed museum that is connected by the fort, stares ahead at the glorious Mediterranean Sea ahead, along with The Museum of Old Marseille. Cathedrale de la Major is another seafront marvel of architecture that adds to the beauty of the city. 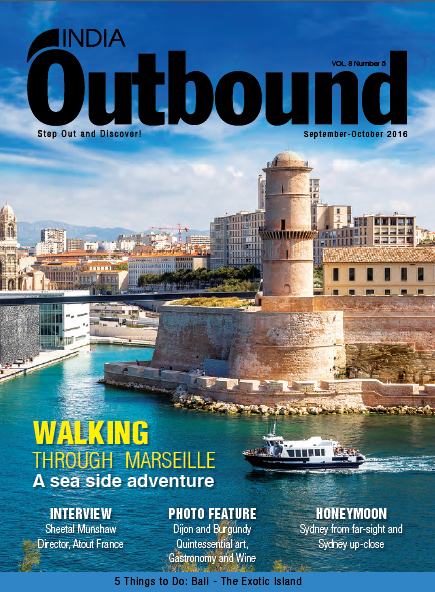 A melange of old and new, museums in old town by the sea are very true to the character of Marseille- a melting pot of heritage and multiculturalism. A visit to old town is incomplete without coming across someone selling the savon de Marseille or the soap of Marseille. It is a renowned produce of the city and may be considered as a good souvenir/ gift to take back home but it is advisable to be careful in choosing the brands of soap, as only a handful are genuinely from Marseille anymore. A shop that comes highly recommended is La Grande Savonnerie. It is a traditional soap making company whose shop lies between the Panier and Vieux Port. Keeping up with the growing demand of personalisation, they have added the option of adding one’s own stamp on the soaps for sale. Yet another staircase can be spotted behind the Town Hall and a climb up these stairs can lead one to Le Panier, a bright, colourful and charming area. Since the lanes are narrow and steep, it can be difficult to explore for those who have problems with mobility or are not particularly fond of walking. For those willing to take the effort, however, a visual treat awaits. Painted vessels and handicrafts with signs denoting social messages such as “peace partout” or peace for all; graffiti for the underground cafes, restaurants and bars and art across bright wallswith vibrant windows- they are all found in this neighbourhood. Colourful jewellery shops and art galleries that are also working studios for painters are also located in Le Panier. Across this neighbourhood are restaurants, bars and endearing cafes waiting to be found and explored at every turn. 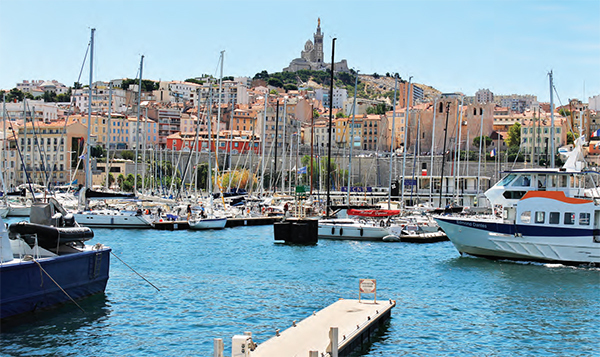 Since Marseille is a port city, it comes as no surprise that the speciality of the city is its seafood. Bouillabaise is a traditional fish-stew dish that is highly recommended. If your desire is to spend an evening in a rather lively part of the city that is frequented by locals, heading to Le Cours Julien is recommended. Although many visit the area at day time to see the graffiti that is sprayed across the walls of the buildings, the evening brings with it an atmosphere that makes Le Cours Julien rather enjoyable. Known to be the haunt of students, an area bustling with queer friendly pubs and a place to meet new people, this is one part of Marseille where sitting down for a refreshing drink of Pastis, whether it is in the form of a cocktail such as Le Peeroquet or by itself mixed with water is a good idea. With a pouch of tobacco and paper to roll your cigarettes lying on your lap, as you debate about the philosophy of science while trying to catch up with the accent of the locals from this part of France (considered to be quite different from that of people from Paris and further north in the map), Marseille reveals itself in bits and pieces in the numerous charming bars and cafes in Le Cours Julien. Close to the port city is the spectacular Parc National des Calanques-filled with natural cliffs of limestone and others that form a breathtaking landscape and a visit to the quaint and charming village of Cassis nearby is an option that travellers may consider, especially if they are fond of hiking. This only adds to the experience of the city itself, which gives a taste of the French way of life but also a peak into the changing cultural landscape of the country, along with a strong unique culture that has existed in the country. With incredible buildings, vibrant artwork and a pulsating social atmosphere steeped in rich cultural heritage, Marseille is a must visit for travellers headed to south of France.